In the pantheon of great men in American history, George Washington occupies a level all his own. There is little of his public life that is not common knowledge to all citizens of the United States, and he is indeed revered as the “Father of Our Country”. Freemasons are also proudly able to refer to our first president as Brother Washington. Although many of our founding fathers were indeed Freemasons, as have been many other great men down through the ages, Washington stands alone – not only to Freemasons, but to all freedom-loving people in the world. 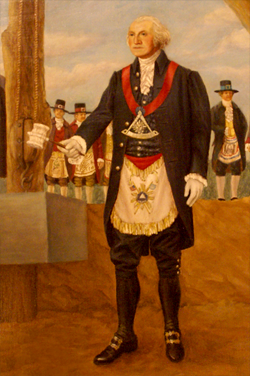 Washington’s Masonic life began in 1752 when he was initiated at the Fredericksburg, Virginia Lodge at just twenty years old. He became a Master Mason the following year. Throughout his very public life, Washington remained active within the Fraternity. 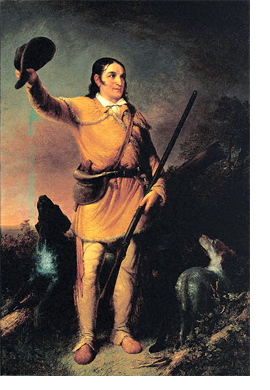 In 1788 he was elected to serve as the first Master of the Lodge in Alexandria, Virginia. The following year, he was elected as the first president of the United States, thus becoming the first of many Freemasons to hold that office. As President, he laid the cornerstone of the U.S. Capitol building in a Masonic ceremony while attired in his embroidered Masonic apron. The apron, incidentally, had been a gift from General Lafayette, another hero of the American Revolution and also a Freemason. George Washington passed away in 1799, not quite sixty-eight years old, however his legacy is eternal. The ideals of liberty, justice and freedom which he constantly upheld have become a major ethos of the American experience.